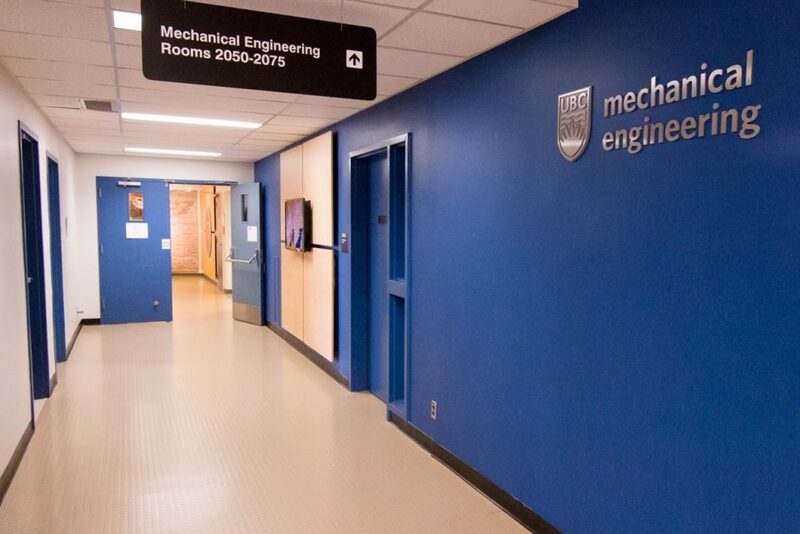 Welcome to the virtual tour of UBC’s Mechanical Engineering department! Unable to visit our department in person? This tour will give you a taste of life as a MECH student, from social spaces to student support services, to our department’s groundbreaking research. You’ll also learn about spaces and services within the Faculty of Applied Science that are used by all engineering students. Join us for a look into life as a MECH student! Use the menu on the left to explore what our department has to offer. If you are interested in visiting the department in person, we hold public tours every few months. Please check our schedule for the latest information.